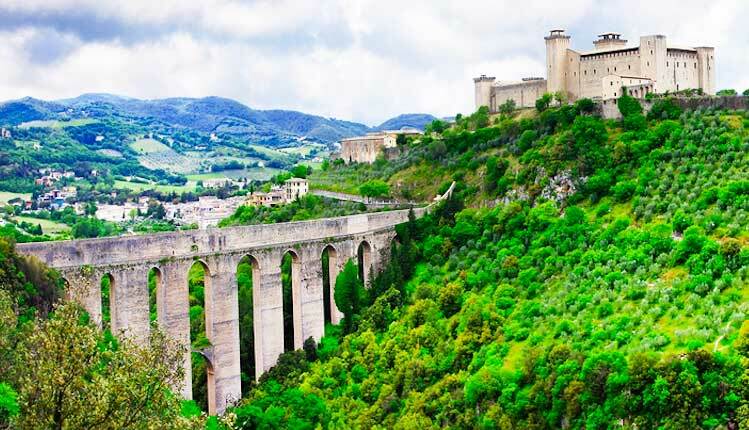 Spoleto is a really interesting place to visit –the buildings and monuments, though obviously influenced by Rome, are largely the result of the work of medieval architects and artists. Some of the more ancient monuments of the city worth a look include the Arch of Druso, which dates to 23 AD, the Roman theatre, which was constructed at the beginning of the Roman Empire, and the Paleo-Christian Basilica of San Salvatore, which dates to the 4th century. Later monuments include the Romanesque church of Sant’Ansano, the church of San Gregorio Maggiore, which dates to the 1200s, and the churches of San Domenico and of San Ponziano, both constructed around the 12th century. Don’t miss the Ponte delle Torri, or Bridge of Towers, which connects the Rocca, a 14th century castle, to the slope of the mountain that overlooks the city and the Duomo, or Cathedral, built in the 12th century. 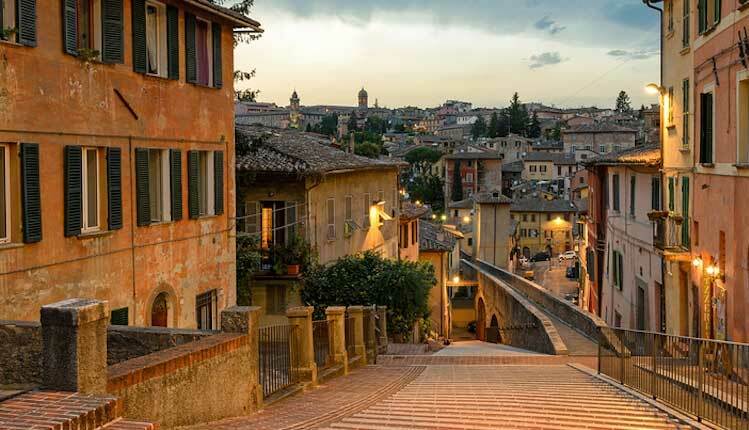 There is much to do and see in Perugia – don’t exhaust yourself trying to do everything. If it is too hot or not so good weather, explore the wonderful museums and galleries – otherwise, Perugia is best seen on foot – take the brand new railway up to the centre of the city and walk around -see some of the the churches, medieval buildings – have lunch in one of the many good restaurants. In afternoon why not stroll down the Corso Cavour and see Umbria’s biggest church-If you are near the Piazza Italia around sixish, order an aperitivo at one of the outside tables at The Hotel Brufani, Perugia’s only five star hotel. Here you can enjoy great views, the perfect spot for watching the evening ‘passeggiata’ and complimentary nibbles that accompany your drink. (A bit on the pricey side-but a lovely Perugian experience) Complete your day with a stroll back along the Corso Vannuci –early evening is the best time to people watch, so take your time and enjoy the spectacle. 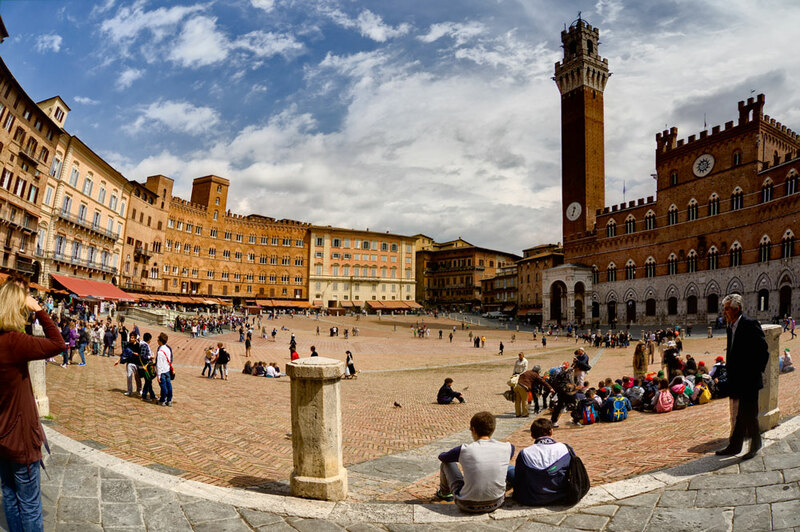 A Day Trip to Siena, Rome or Florence– Take your pick of the famous 3 – you can drive to Siena within an hour and a half and spend a rewarding day in Tuscany’s most beautiful medieval hill town. Florence and Rome can both be reached by train – for a more relaxing day out- Get the early train, so you get a full day out – there is so much to do. Must sees for a day in Florence are The Cathedral and Baptistry, The Accademia (which houses Michelangelo’s David), the Ponte Vecchio, Orsanmichele and the Boboli Gardens. In Rome if you are just there for a day, try to see: The Colosseum, The Forum, The Pantheon The Trevi Fountain , Piazza di Spagna & The Spanish Steps and St Peter’s. For full day itineraries in Rome and Florence – see our guest book available in each property. 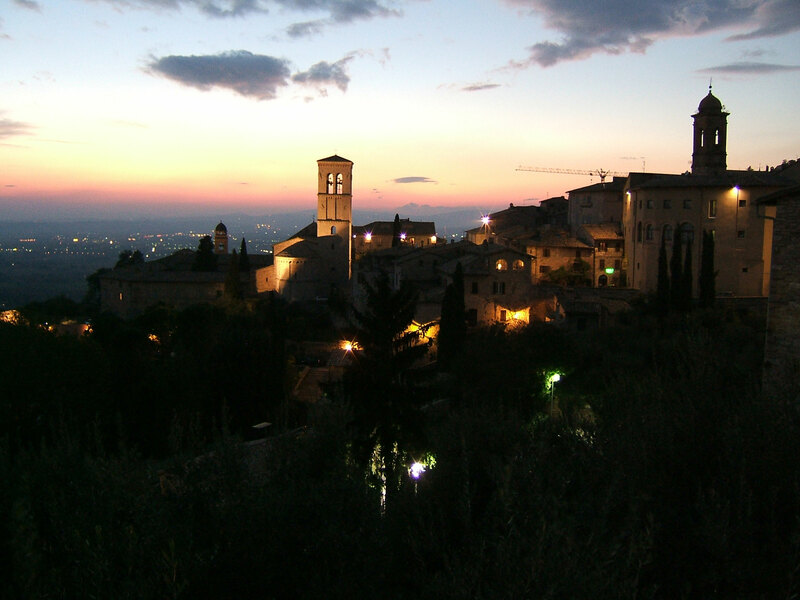 Weekends are best avoided in summer – as Assisi gets very crowded and hot. Monday is usually a quieter day to enjoy the churches and cobbled streets of the most visited town in Italy. A must see is the basilica of San Francesco, Assisi’s patron saint – there are 2 churches, the upper, lower and a crypt. Walk back up from the church to the town square and you can reward yourself with a great gelato- in the town square. If you don’t fancy a restaurant lunch – we suggest buying filled rolls and a picnic at one of the wonderful delis in the narrow side streets of the main square. If you are feeling energetic a walk up to the Rocca Maggiore were you can enjoy your picnic lunch with a view and explore the castle! 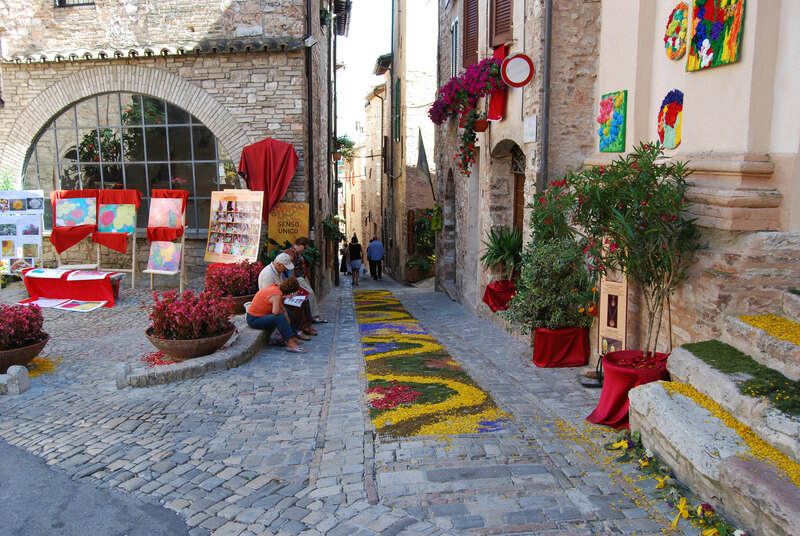 A day in the local town of Gubbio– Tuesday is market day in Gubbio and a great time to visit. Gubbio is a wonderfully preserved medieval walled town that is authentic and still as populated by local inhabitants (not tourists) today as it was in the past. Barter with the local’s at the market – try a Panini or porcetta for breakfast or brunch, then head up from the piazza to the palazzo and the fabulous views of the cotta roofs and medieval buildings – Gubbio is often referred to as the Siena of Umbria. From the palazzo and the piazza grande –you can head further upwards and see the duomo. Break for lunch –there are several good restaurant in Gubbio – then take the Funavia (cable car) to the top of Monte Ignio for a coffee and see the basilica and for the best views of Gubbio – walk back down the road to the medieval centre. A picnic in the Monte Cucco National Park – a wonderful antidote to traditional sightseeing is a visit to the national park – you can drive to almost the top of Monte Cucco – if you are keen to walk you can also walk up it – otherwise you can simply park up, admire fantastic views and watch the hang gliders and para gliders take off (weather conditions permitting) – there are cattle roaming free, wild horses and views that will knock your socks off – you can take a picnic and while away the hours – or sample a plate of antipasti and pasta at one of the park restaurants – there are walks to suit most abilities if you fancy a stroll. 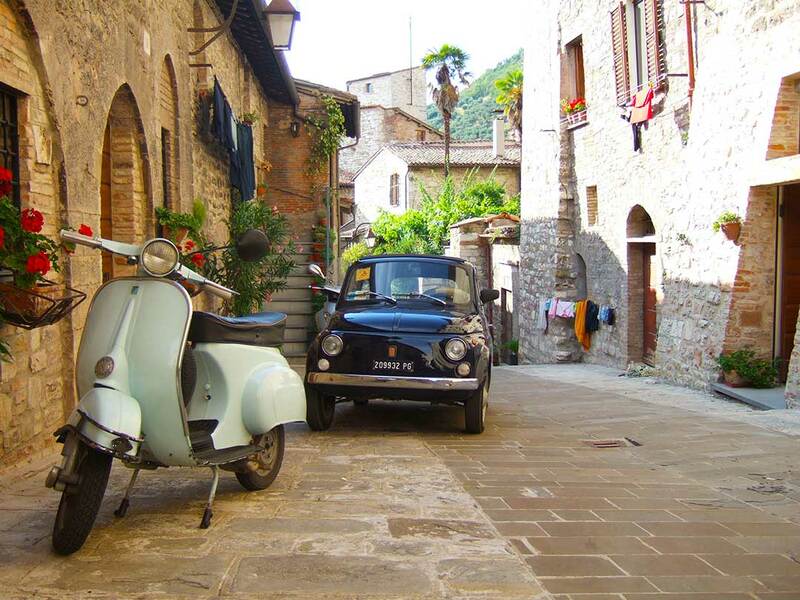 Spello is one of our favourite villages. It has beautiful window boxes and flower gardens throughout the summer and offers the tourist a view of traditional village life – Spello is not a whole day’s worth of visiting, there isn’t that much to do, unless you are really keen – so lounge around at the pool, or take a walk to one of our local villages in the morning and see Spello in the late afternoon, have an aperativo at one of the outdoor bars or go for a wine tasting at the enotecca and stay for supper at La Cantina – you won’t regret it. 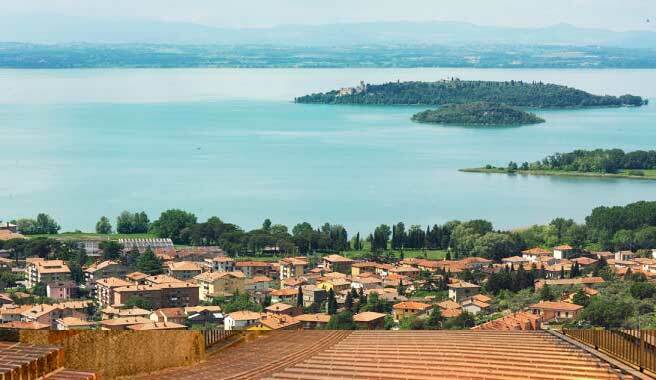 A day visiting lake Trasimeno is a great day out – you can drive all the way around the lake if you are feeling adventurous – better still you can visit a few of the towns on the lake shore and take a boat trip out to one of the islands. Castiglione del Lago is a lovely lakeside hill town – where you can dine alfresco on local lake and crawfish – then drive on to Turo or Passignano to take the boat out to Isole Maggiore for a wander around the largest island on the lake. Sirolo on the Adriatic coast has a beautiful sheltered bay ideal for swimming and a day of relaxing. You can partake in water sports, relax on the sands or walk around the shore to the next bay and eat in a great seafood restaurant, all without leaving the sandy shores! The impressive town of Orvieto sits on top of a volcanic tufa covered with vines whose sheer sides fall 325m to the valley floor. The cliff edge is a remnant of the 4 volcanoes that produced Orvieto’s fantastic rich volcanic soil that is famous for producing some superb white wines. 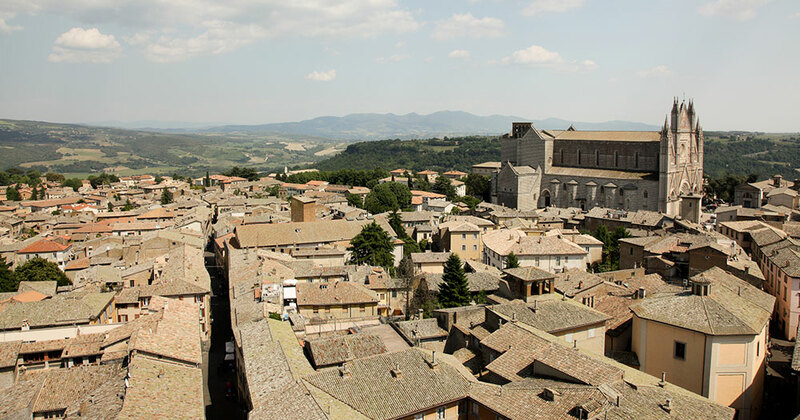 Orvieto, with its medieval town crowned by a stunning cathedral looks pretty much the same today as it did 500 years ago. There is much to do and see in this historic town. 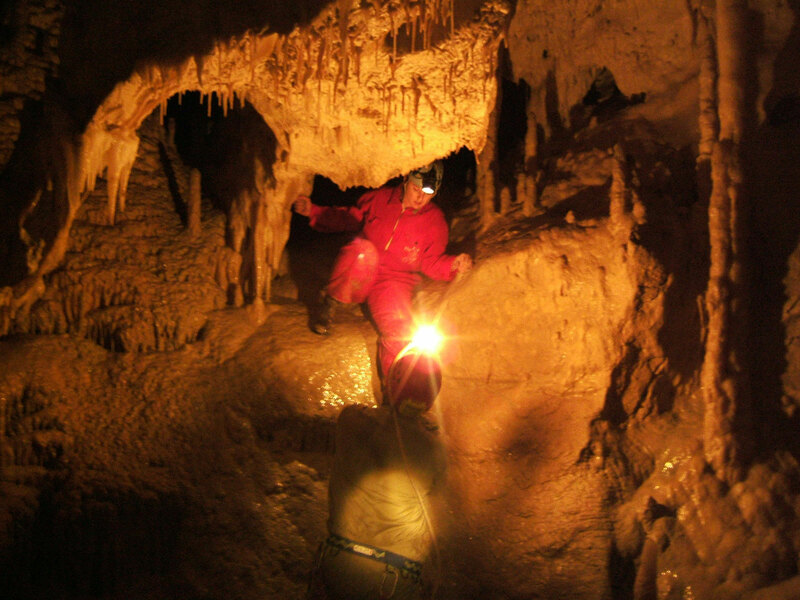 Don’t miss The Cathedral, The Pozzo di San Patrizio , The Rocca, Grotte della Rupa and The Etruscan Tombs. Around 1hour 45 mins from the Villa. 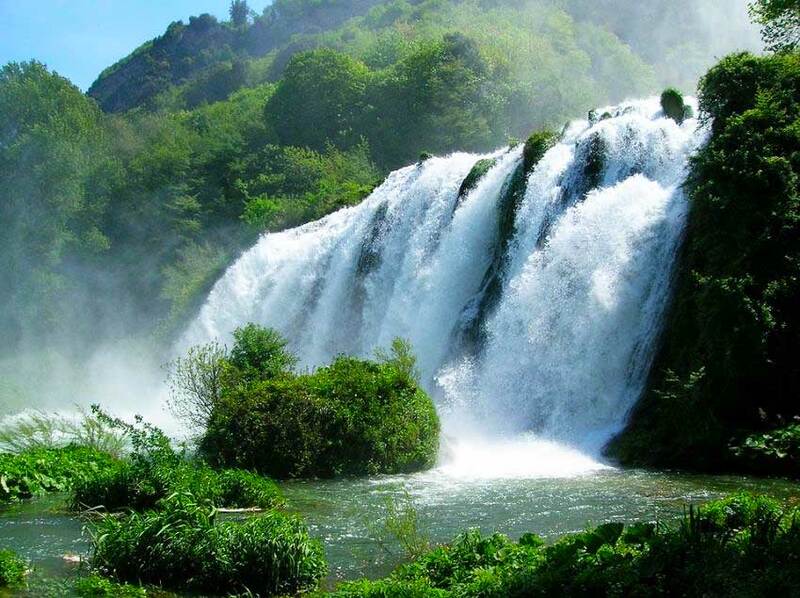 The Marmore falls are rather spectacular powerful waterfalls that you can walk up and around on a special boarded walkway. You can also book a rafting trip on them and at certain times of year there are donkey trekking tours up the falls for children. The unique feature of the falls is that they are turned on and off – which is quite odd, but they certainly impress when they suddenly appear from nowhere! 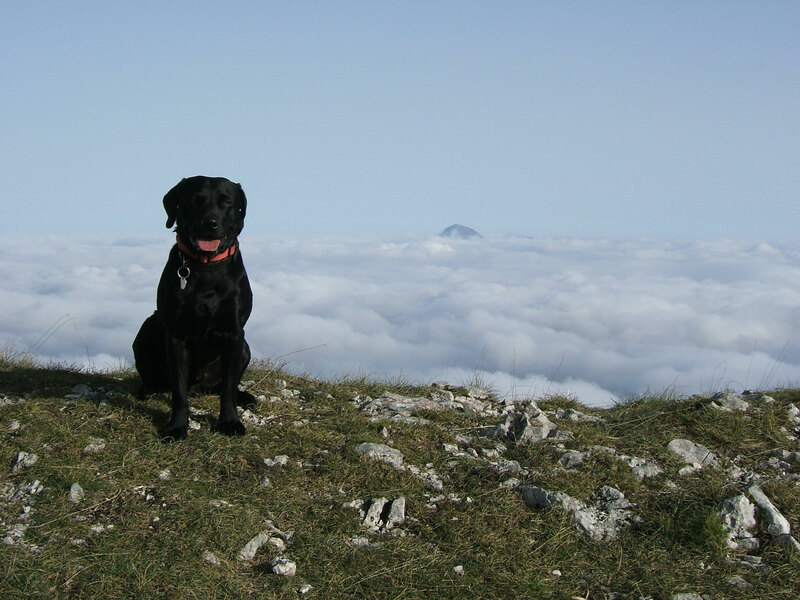 A good day out for all the family – the mist of the falls is cooling in summer.